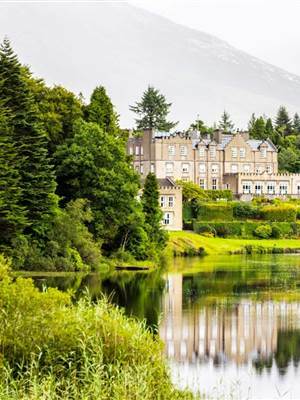 Ballynahinch Castle Hotel is located at the heart of the Ballynahinch Estate. Comprising 700 acres of beautiful woodlands, gardens, lakes and rivers, this sporting country estate offers a secluded retreat of peace for any visitor. The terraced gardens by the river, the walled garden and the ten miles of river and lakeside paths, provide the perfect environment for a quiet and reflective walk. As you stroll the grounds of Ballynahinch Castle you might encounter some of the other inhabitants of our area. Among the many species of wildlife one can expect to meet are mallard, teal, foxes, maybe a view of a swooping kestrel or merlin or perhaps if you are lucky you may glimpse the elusive tree dwelling Pine Martin. Every turn brings a new delight to discover and walking maps are available at reception. 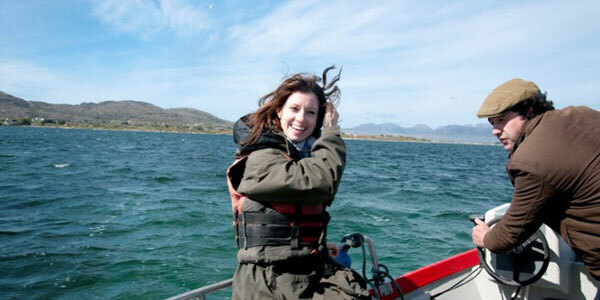 For those feeling a little more energetic there are bikes for hire and of course fly-fishing for salmon on the famous Ballynahinch River. 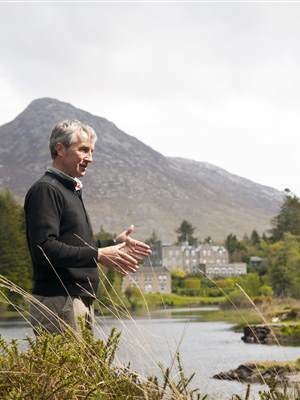 There is so much to see and do without even leaving the grounds of Ballynahinch Castle. Our daily guided walks provide the perfect opportunity to fully appreciate the beauty and history of our estate.